Welcome to spring and to the countdown for the end of the school calendar year! I would like to share a few tidbits for your consideration. 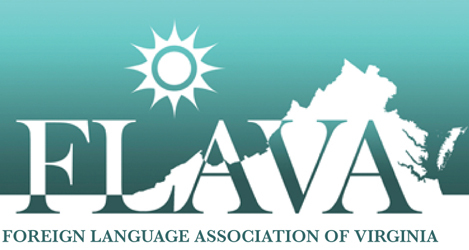 FLAVA was well represented at the SCOLT (Southern Conference On Language Teaching) conference this past weekend in beautiful Myrtle Beach, SC! Congratulations to Anja Moore, a 2018 Best of FLAVArecipient, who gave a meaningful presentation on “Musik der DDR – Dance Dance Revolution oder Friedliche Revolution.” Heidi Trudefulfilled her duties as the 2018 SCOLT Teacher of the Year and was introduced as a newly elected Board of Directors member. FLAVA is very proud to have representation on this regional board. As a matter of fact, there is some discussion about bringing SCOLT to Virginia. So, stay tuned! Thanks so much to the many of you who submitted proposals for the FLAVA Fall Conference. You will be notified no later than May 1st as to the status of your proposals, and registration will be available immediately afterwards. The Nominations Committee led by Linda Fowler-Jones is now accepting nominations for the positions of President-Elect and Communications Coordinator for the next term. Elections will take place in September, but the deadline to nominate a colleague or to self-nominate is May 15th. Click here for more information. The Awards Committee led by Jennifer Thomas is now seeking nominations for all of the FLAVA awards. The deadline is May 1, 2019. Please click here for more information and to nominate someone for the various awards.